Looking for a part-time or full-time position in the hospitality industry? Saz’s Hospitality Group is hosting upcoming job fairs for summer hiring across all divisions. Led by Saz’s Catering and Sazama’s Fine Catering at the Marcus Performing Arts Center, along with Saz’s State House Restaurant on 55th and State, the upcoming job fairs will staff many positions with flexible hours perfect for students or for those seeking an opportunity for additional employment.  The four events will be held Saturday, April 20, 2019 and Saturday, May 11, 2019 from 9am until 11am at South Second: A Saz’s Hospitality Group Property, located at 838 S. 2nd Street in Milwaukee (across from the Saz’s Catering building in the Walker’s Point neighborhood) and Saturday, April 27, 2019 and Saturday, May 4, 2019 from 9am until 11am at Saz’s State House, located at 5539 W. State Street in Milwaukee. Hiring staff will be on site for initial screenings and interviews, so don’t forget to bring your resume or completed application to the Job Fair! For complete job descriptions for many of the above positions, click here. 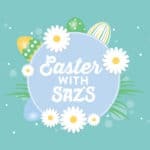 For additional details, contact jobs@sazs.com. Are you looking for information specific to Saz’s Festivals summer hiring? Click here for a link to information about to Festivals Job Fairs. Five Ways to Celebrate St. Patrick’s Day Milwaukee Style!